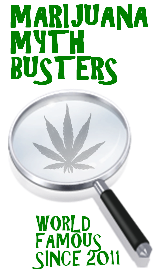 This entry was posted by Mythbuster on November 10, 2011 at 7:28 pm, and is filed under Reefer Recipes. Follow any responses to this post through RSS 2.0.You can leave a response or trackback from your own site. Your mode of telling everything in this piece of writing is in fact fastidious, every one can easily understand it, Thanks a lot. Appreciate for the interesting post. I was trying to subscribe to your RSS feed, but I wasn’t able to get it working with my RSS reader. Is there something wrong, or is it my fault (I’m a hopeless technophobe! )?